Hospitality and Catering students from South Eastern Regional College’s Downpatrick Campus recently raised £878.85 for the Friends of the Cancer Centre at Belfast City Hospital. 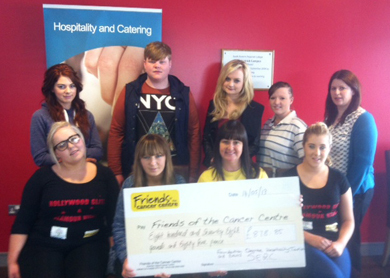 Downpatrick Hospitality and Catering Students have raised funs for the Friends of the Cancer Centre at Belfast City Hospital. The students held a number of fundraising events as part of their festivals and event operations module on the degree programme. 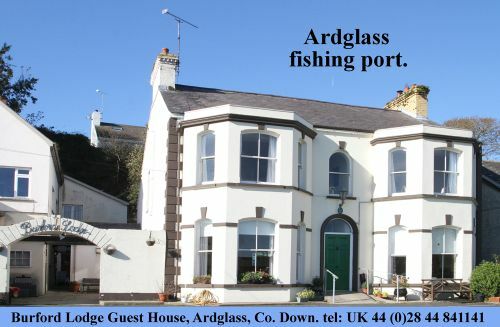 They held a Glitz and Glamour night, which was sponsored by Norma J’s diner in Downpatrick. The students also worked with local businesses such as Bannon McCabe photography who operated a photobooth and took professional photos with their 3D backgrounds. Inkwell Cartoons created caricatures and local musician Brian Bell also performed. The group would like to say a big thank you to everyone who helped make the events such a success.